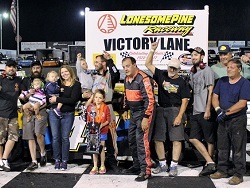 Coeburn, Virginia (August 6, 2017) – A total of only one yellow flag slowed the field across 100 laps of Super Cup Stock Car Series racing, but the 18 drivers on hand put on some fast and exciting competition for fans at Lonesome Pine Raceway on Saturday night. Brad Teague, a local crowd favorite and former track champion at the Southwest Virginia facility, and current points leader Jim Crabtree Jr. started from the front row for the first Extreme Awards & Personalization / Patrick Miller Photography Twin 50 presented by United Tire after a six car redraw. Crabtree, fast qualifier in his only Lonesome Pine SCSCS start back in 2008, broke out into the early lead from the outside line in his No. 63 Jim's Automotive / Judy's Apartments Chevrolet. 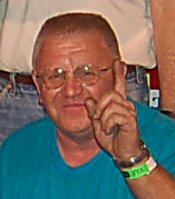 Bob Schacht, returning to the 3/8-mile for the first time in more than 30 years, was Crabtree’s main challenger in the No. 75 Engineered Components Chevrolet after winning his first career SCSCS Pole Award earlier in the evening. The only caution of the night flew when Brian Harrison lost power on the frontstretch, bunching the field for the restart. Crabtree and Schacht dueled side by side for numerous laps, all while giving each other enough room. 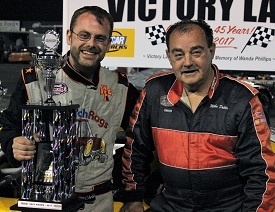 The outside line prevailed at the start-finish line every time and Crabtree would notch his first SCSCS victory since 2013. It was an accomplishment the Muncie, Indiana driver had to work for not only on the track, but in the pits between practice sessions after battling an extremely tight car in the afternoon. Schacht held on for second and most recent winner from Jennerstown, Brent Nelson, rounded out the podium in race number one. For the second Twin 50, fourth place finisher Ben Ebeling drew the pole with fifth place finisher JP Crabtree starting alongside. Ebeling got the advantage from the start in the No. 44 Wrench Rags / Custom Graphics / Battery Specialists Ford prepared out of the Potter Racing shop. Last year’s Lonesome Pine winner had to contend with Schacht, who quickly made his way up to the runner-up spot, with Ebeling leading by a nose at the line in the early laps during their intense but respectful battle. A few laps later, Crabtree took his turn in the second position, attempting to maneuver under Ebeling for the top spot. 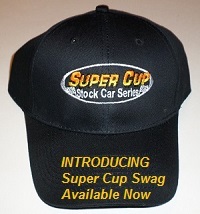 The 50-lap event went caution-free, which meant that slower traffic had the potential to play a factor in the result. In the closing laps, the two frontrunners caught up to the tail end of the top five, where Nelson, Brian Harrison, and Harvey Harrison all were trying to finish as best as possible. Crabtree ended up boxed in with only a couple circuits remaining, allowing Ebeling to pull a few car lengths ahead for his second career SCSCS victory. A year ago, Ebeling worked his way to the front in the second half of the race when the car came to life. 2017’s win was a slightly different story with the same positive result. 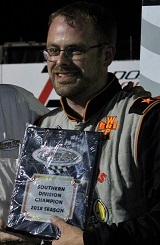 Crabtree had to settle for second in the race that concluded the night for SCSCS, but was still pleased. Schacht held on for third, a strong night of racing that came up just short of the win on both occasions despite trying to loosen up the racecar. 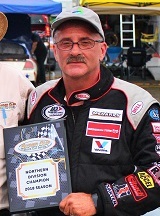 Due to an off night for his closest competitor Kevin Kromer, who could only muster a ninth and 10th place finish with an ill-handling car, Crabtree has now developed a commanding lead heading into championship weekend at Jennerstown Speedway Complex in three weeks. 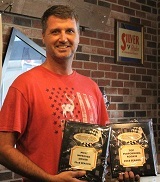 A more than 100 point advantage is held over his son JP Crabtree, a sign of consistency for both drivers. 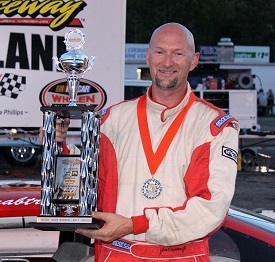 Nevertheless, Kromer still has a shot at the Northern Division title, which will be decided in the first Jennerstown Twin 50, with only a 40 point deficit. In addition, Crabtree, a two-time runner-up in the overall standings, knows that he has to go into each of the remaining races with the same focus as he has all season long. Ebeling meanwhile sets the pace in the Southern Division standings with his strong finishes at Lonesome Pine. 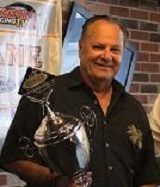 That title will also be determined during the first Jennerstown Twin 50 on Saturday, August 26. The Extreme Awards & Personalization / Patrick Miller Photography Twin 50s presented by United Tire will air at a future date on MAVTV and LucasOilRacing.TV. 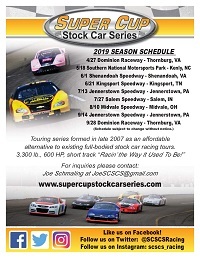 Please visit the official web site at www.supercupstockcarseries.com, the Super Cup Stock Car Series Facebook or Twitter for more information on the 10th Anniversary season.